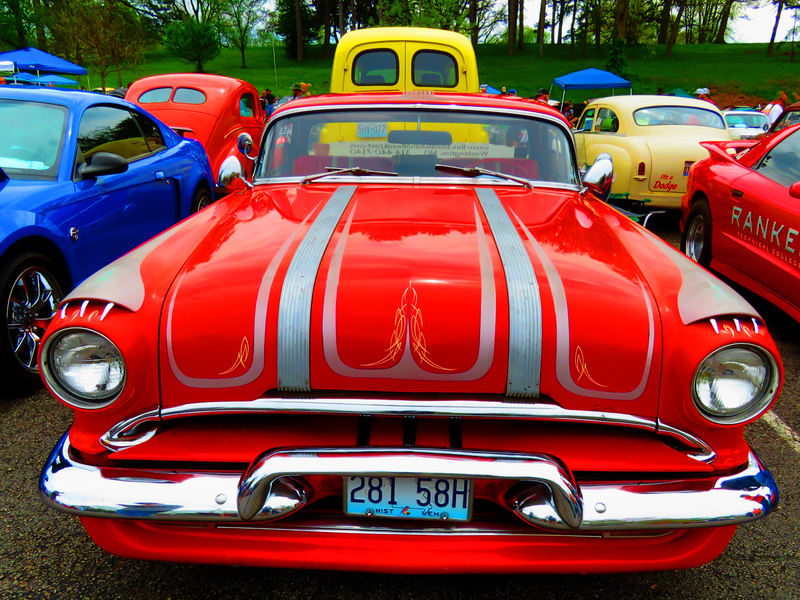 I got out on Easter Sunday and made it over to the car shows in Forest Park. In the past, I have treated these two distinct car shows as one, but in reality they are separate. On the upper Muny lot all the beautifully restored antique cars are displayed and judged. On the lower Muny lot you have the equally beautiful customized cars. What separates these two shows are the dueling disciplines of restoration versus customization, because never the tween shall meet. Pictured above is a rather colorful selection from the lower Muny custom lot. In other news, Dave landed in Belgium, the second leg of his post-doc world survey tour. He took a day off to acclimate, before he meets with his colleagues and visited lots of churches. It being the day after Easter, they might have been the only thing open? Many Europeans take the Monday after Easter off. This entry was posted in Art, Family, Forest Park, Life, Photo, Photography, Saint Louis by RegenAxe. Bookmark the permalink. That is perfection. Totally awesome.